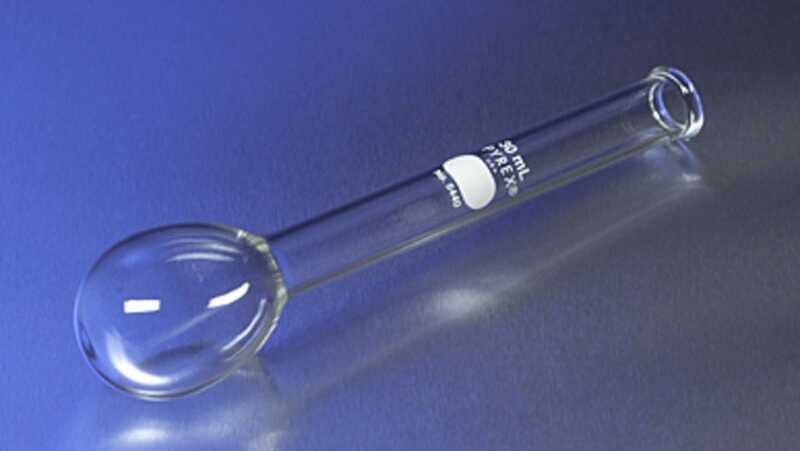 These small 30 mL PYREX(r) Kjeldahl flasks, without tooled neck, is suitable for multiple microdigestions. They take a No. 0 rubber stopper. Care must be taken to ensure the bottoms of the flasks do not come in contact with the heating elements. Most Kjeldahl equipment manufacturers have ring supports for this purpose. -Reference: ASTM E-147.